Messaging or the use of chat apps are surging in popularity these days as people prefer chat-based apps over text messages as it provides real-time interactions and gives them a personal touch experience. Compared to the previous year, the number of persons who use chat apps for messaging has increased by 15.5% when compared to previous year. Being a cheaper service when compared with text messaging, most of the chat apps, provide service at very low cost or is completely free to use. 2018 is again considered to be a year of growth, where 1.85 billion people annually might use these kind of apps. 5) Enable individual as well as groupchats etc. With the explosion of popular, easy-to-use messaging apps like WhatsApp, Line, Telegram, WeChat, Tango, SnapChat, Skype, Google Hangouts, Hike etc., the demand of chat apps is growing day by day. Almost all of these apps provide real-time messaging, free voice and video calls, group chats, end-to-end encryption messaging, unlimited sharing of data and files, contact sharing, and much more either over the mobile data plan or using Wi-Fi. When it comes to building a user-friendly chat app, one of the main factors to include is emojis which lets users express their emotions with just a click. Usage of emojis not only enable overall interaction but even makes the app more attractive and fun to use. Now app developers are leveraging on AI to seamlessly connect and integrate with the audience. Deep learning, face recognition, emotional perception etc. are integrated into chat apps to make a better and smarter communication. This feature lets you access the same account on any device, thus giving more access to their communication tools. Living in the moment or end-to-end encryption is another feature that it taking over in almost all chat apps. The best thing about this feature is that you need not worry about the messages or the media that your sharing because it only exists for a very short time span. Geo-location provides users the facility to tag the exact location to provide an effective flow of interaction on a real-time basis. This helps users to monitor, scale, store and update the hosting environment and data. Overall, a chat app is not only for texting or sharing pictures, but it can be used for all sort of content. To attract users, brands and businesses need to generate new trends and techniques to top the chart. Each successful chat app needs to have specific salient features, so let’s take a look at the steps to create a chat app successfully with the best functionalities. The Startup Idea- What Makes your App Idea Special? When you’re coming up with an idea to build a chat app, you need to ask yourself two basic questions. So, if you want to take in an advice, then, it’s way better to focus on an existing model and make it better with add-on unique features. As you think about your idea, make sure that it is perfect from the start to end of the development process. A major feature of innovative products is their combination of three major aspects: human desirability, financial viability, and technical feasibility. It is important to consider all three aspects to develop a fairly detailed concept before spending unnecessary efforts in implementing a solution. Get feedback from others, including potential users, to help refine your idea. Who is your Competition? Does your Idea have a Chance? Chatting is still the easiest way to send messages. Brands follow audiences, so, it’s not that surprising to see the explosive growth of chat apps in all fields. There are quite few from which most of us choose. Here, is our list of ten of the top chat apps that can be your app competitor. Kicking this list off is Telegram, which is free to use. The only thing you’ll have to do is, install and start using it. 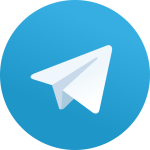 Telegram focuses strongly on encryption and security. 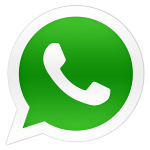 Users looking for a chat app more focused on delivering secure messages in a speedy manner certainly can go for this app. 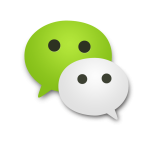 WeChat is a popular option to consider and there are plenty of reasons to love this app. It supports Android Wear, which can help you send messages from your wrist if you have one of the supported devices. It also has a PC client so that you can message from your laptop or desktop. It is a cross-platform mobile messaging app which allows you to send messages without having to pay for SMS. It’s available for iPhone, BlackBerry, Android, Windows Phone and Symbian. With free voice and video calls, you can have face-to-face conversations, when voice or text just isn’t enough, by using your phone’s Internet connection. The latest version of the app has introduced an end to end-to-encryption to keep the personal data of the users secure. This is easily the biggest and most widely used chat app among social media chat apps. You can talk with any of your Facebook friends or set group chats for multiple people. LINE is actually one of the biggest chat apps out in store, and it offers group chats, free video calls, free voice calls with your LINE contacts no matter where you are. It is surely one of the most recognizable chat apps, and like a few in the list, it can be used on multiple platforms like tablets, smart phones and the computer. This isn’t like the traditional chat apps, but it is a chat app nonetheless. Instead of just your typical typed up messages, it lets you take a quick picture with the option of attaching a caption before sending it to your contacts. 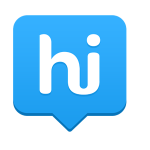 One of the unique features of hike is its offline chat facility for users. The amazing collection of stickers enhances the experience of chatting, by helping to convey real emotions. Competition is a good thing. Go through the stories behind leading brands. Google wasn’t the first search engine and Facebook wasn’t the first social network. There are too many examples to count on. The above-listed apps are just a few from lots left. Unless your app can do something exceptional, it will be certainly very difficult to stay in the market. There is no legal protection for ideas. Protecting the idea is crucial, especially during developmental stages. Although no legal filings can protect your app idea, the documentation can certainly help you. Experimentation is an ongoing process that involves trying, retrying and continuous refining. Take into account different scenarios as possible and give each, a type of logic. While you begin first, think about your layout and widget choices. Make an idea of which platform you are going to use and how your UI will look on different screen sizes and resolution densities. Sketched layouts also known as wire frames will help to show where each element will be placed and how important it will be in relation to other objects on the page. In this, you visually conceptualize the features, and approximate the layout and structure of your application. The popularity of mobile enterprise and consumer-based mobile apps has grown tremendously in the last decade. The app stores are flooded with millions of mobile apps covering myriad of topics and genres. Since Mobile App Development can be a lucrative business, an app developer hoping to develop the next big thing is always on the horizon. Mobile platforms have sprung up over the years to cater to the increasing demand, but to choose which platform is best for your app is a tough one. Knowing about the basic functionalities of iOS, Android, Windows doesn’t give you the full picture of the good and bad of each platform. The capabilities of one operating system may not be possible with the other. Know the limitations of each platform and choose. 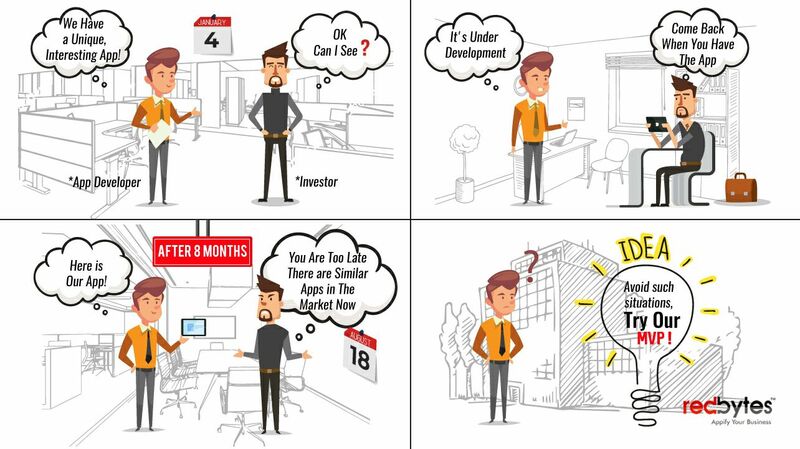 Here are a few tips to decide which platforms you have to develop your app for. One of the biggest determining factors when it comes to selecting mobile platform is your app’s target audience. If your app targets the mass market, make sure that the most popular platforms such as iOS and Android are your priorities. Android and iOS have the largest user base. Windows take a significantly smaller share of the pie. According to Business Insider, Android has captured almost 80.2% of the users while iOS trails behind at 14.8% of its users. In the case of mobile revenue, iOS users are comparatively more loyal than Android by creating greater revenue opportunities for developers who wish to work on the iOS platform. Piracy is a prime concern for mobile app developers. Android is reported to have a whopping number of pirated apps in the playstore and can easily be pirated, circulated as apk files and installed on devices without having to root them. But in the case of iOS, be it free or paid, it requires a validation by the Apple App Store before downloading anything. The open nature of the Google Play Store compared to the iOS App Store has created circuitous routes for downloading more apps without actually having to pay for them. This is a major cause for the concern to developers who aim to monetize their applications. Developers looking to create apps on iOS have to work with Xcode, which supports C, C++, Objective-C++, Java, Python, Ruby, Rez and Swift source code with a variety of programming models. The latest version, Xcode 6, includes interesting features like “Playground”, a live debugging tool and an entirely new programming language called as Swift in iPhone App Development. Even though Xcode is sleek and powerful, latency and editing errors in Xcode 6 can create issues for the developers. The program components provide the environment for writing, modifying, compiling, debugging and deploying the software. Support system is available for C++, CBOL, Python, Ruby on Rails etc. The advantage is that a wide range of cohesive tools is available and it runs on a variety of operating systems. But on the downside, it can be extremely slow and resource intensive. Android Studio is now officially called IDE (Integrated Development Environment). One of the newly integrated features in Android Studio is Gradle, which is deeply integrated that users who have not used this feature may find it extremely challenging. One of the commendable features is its layout designer with a drag-and-drop interface. This enables the creation of visually appealing chat applications. The main drawback is the complexity, lack of resources and tutorials for beginners. New users may find it challenging to learn the ropes in Android Studio. Windows phone users make approximately 3.5% of the worldwide smart phone market share. Comparing with other mobile platforms, Windows is definitely not the top choice for an app developer. Although the Windows platform may not have as large market share as Android or iOS, many of their development options are expertly designed for everyone from beginners to veteran developers. One more option to reduce time & cost is to go for the Hybrid Mobile App Development also known as cross-platform development. Here, one code language runs on multiple platforms and is a cheaper and faster solution. They provide a native look and feel with the help of an HTML UI framework and CSS, JS Technology. But, as discussed, each tool has its pros and cons, there’s no one-size-fits-all solution. How much will it Cost you to Create a Chat Application? Mobile App development cost estimate not only hinges on development time and hourly rates, but also the price depends on a number of factors that are needed to successfully implement an idea. Depending on project requirements, the development team can be basic or extended. A basic app team includes a UI/UX designer, project manager, at least two developers and a quality assurance engineer. If the app requires a back end infrastructure to develop, then, an API and a back end developer should also join the team. 2. Development-up to 900 hours, plus 25% of the PM and QA services. Considering all this, the medium development price would score around $1,000- $15,000 for a an app. Generally, a professional company takes somewhere around $5,000 to $10,000 to develop a fully functional instant messaging application like WhatsApp and Hike. a) Third-party integrations: Some functions in mobile apps require integration with third party libraries, frameworks, and services. Real-time chats can be easily implemented with the help of Layer, Pubnub etc. b) Backend development: A backend is an operating system with APIs to enable the exchange of data between a mobile application and a database. The back-end implements the application business logic. c) Admin panel development: This is a very useful tool that makes it easier to operate apps, manage users, content, view stats, and more. d) In-app s: From virtual goods to additional functionality, there are different forms of in-app s that we can implement. e) Use of hardware components: Smart phones are packed with different hardware components such as gyroscopes, heart rate sensors, NFC, Bluetooth, GPS, barometers etc. Finding the right one for each device and testing how different components communicate with the software may increase the cost and time. When it comes to an iOS app, it should be compatible with the latest and previous versions of iPhone and support the latest and previous iOS versions (iOS 9 and iOS 8). This is also applicable to Android OS versions. Custom user interface costs would be higher than the price of building from standard components. This includes the choosing of custom and standard UI components. The dominance of social networking sites has been curbed by the emergence of messaging chat apps. Currently, the demand for live chat apps has increased to such an extent that they are heading towards dethroning the social media sites. Messaging app is an understatement. Because there are so many features developed in an instant messaging application that has made them deployable for numerous applications. When you are looking to build a feature-rich and sturdy chat app, you will have to use the appropriate technologies. The trend of bots has already taken off, where a large number of brands run bots. Bots make customer service interactions easier for customers, and for brands. Apps like WeChat, Kik and even Facebook messenger has started using bots in their chats. When you are going to hire a developer, you tend to have so many options- a firm, an individual, a small team, overseas etc. The hardest part in this would be where to start and whom to trust. This can be through co-workers, friends, family or discussion boards, websites, and review sites. Ask for referrals and explain to them what you’re looking for. Google – Enables search of different firms and their portfolio/service offerings with their contact details. Freelancing Sites -You can browse in freelancing websites and find job postings that are similar to yours and see what people write as their job request. You can later do research on these forums by going through their profile pages or on their main web pages, and maybe, even follow up with their contact form. Specific skill sets– Every developer has their own strengths and if you get one that matches exactly what you’re doing, you will get the best results. Cheaper– This can either be for better or for worse because you’re not paying for project management and overhead. Highly deliverable and time-oriented– Firms focus on project plans and time lines. You’ll be reported with updates on project in regular basis telling you where things stand. Project management– You’ll have one prime person who can take the lead on everything you want to discuss about the entire project. Have backup Plans– This means that if something comes up with any of the developers, there is always a backup plan to continue your project. Testing/QA– This helps to detect bugs and get multiple perspectives on the project. Whomever you opt for, your primary goal is to generate revenue with your chat app. The developer needs to know exactly how to build in features to make an income out of it. If you opt for a free app, be sure that the freelancer/the firm is well versed in integrating mobile display ads, in-app s or paid subscription services. Which are the Best App Development Tools? Different cross platform tools have different specialities. Each platform is unique and exhibits different features, capabilities and behaviour. Multi-platform apps are truly in-today; so, you will have to find solutions to develop the best cross-formatted apps, without emptying all your resources. 1) RhoMobile: It offers an open-source framework based on Ruby. This permits to create native app, spanning over s stunning range of OS’ and smart phones. This includes Android, Windows Mobile, iOS etc. The framework supplied by this tool is in such a way that you only need to code once. This can be used to build apps for most of the major smart phones. 3)MoSync: Yet another SDK tool based on standard web programming. This offers the developer integrated compilers, libraries, run times, device profiles and various other useful tools. MoSync now also includes Eclipse-based IDE for C/C++ programming. It includes source code editing, collaboration, debugging, project management, distribution. Widget Pad, which is now in private beta, can be used to create a chat application for iOS and Android. 5) Sencha: Helps to develop your tools in HTML5 and works across a handful of devices on different platforms and boosts productivity with pre-built components. Once you have developed the HTML5 code, then you can translate it to both android and iOS platforms. 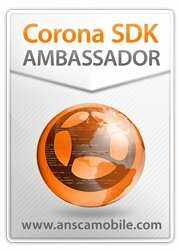 7) Corona: This tool comes with the promise that you can start coding your new app in as little as five minutes after the download. The programming language is Lua, which is written in C.
8)Xamarin: Includes app store delivery, performance testing and monitoring, and the ability to do virtual tests on more devices to test whether everything is working properly. Making use of these tools can make things easier for you to develop a reliable chat app. Finally, when you are finished with your app and polished it as a result of beta testing feedback, the next step is to think about business. When you plan your own development, monetization should be one of the key elements of your design. Using pay per download for your app, each user will have to pay as they download and install it on their phone. Payment can be handled by an app store, mobile operator or you can set up a mechanism. Payment is generally handled in one of two ways: operator billing or credit/debit-card payments. It’s a way to charge for specific actions or assets within your application. Alternatively, you can offer some basic features of your application for free, but, charge for premium contents like videos, virtual credits, premium information and additional features. As it is common on websites, you can think of earning money by displaying advertisements. Many companies offer tools to display mobile ads and it is the easiest way to make money. The user gets your app for free and in return, is prompted to sign-up for a newsletter of your sponsor. The sponsor will pay the developer an amount for each newsletter registration. Premium sticker packs are a mixture of the app’s own-produced content and content from established producers such as Disney or Sony, and from smaller providers. The rich, graphical nature of stickers can create interesting and engaging content. Such accounts allow brands, celebrities and merchants to connect and engage with users. 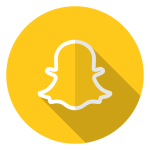 The official account uses familiar features within the app so that they can connect with users as friends and share contents and messages. There are different content types that can be retailed within a messaging app. Whether this works or not depends on the implementation of the idea. This content extension can also help in core messaging experiences. With a large number of users and the presence of brands in official accounts it’s likely that mobile commerce will be a direction for ambitious chatting apps to go in. WeChat has already included a scanner used to read QR codes to help users share their accounts and connect with friends. These bar codes help the users to pay for the product from WeChat. Publishing refers to the process that takes the completed Mobile App development project to the App Store. Preparing for Publication – ‘Release version’ of the application is created so that it can be deployed to compatible devices. Distribution – The release version of an application is made available through one or more of various distribution channels. In order to distribute applications to all iOS devices, Apple requires apps to be published through the App Store, making it the one-stop shopping location for iOS applications. With over 500,000 applications in the store, developers of many types of apps capitalize on the massive success of this single point of distribution. The App Store is a main solution, offering app developers both distribution and payment systems. 2. Creating Distribution Provisioning Profile. 3. Submitting your application through iTunes Connect. After you submit an app for publication, it goes through a review process by Apple to ensure that it meets the guidelines for quality and content. If the application fails to meet these guidelines, iOS will reject it and you’ll have to resubmit it. The simplest way to distribute an Android App is via the Google Play store. It is also the simplest way to reach millions of users. The starting point is the Google Play Developer Console. It is the dedicated dashboard for developers, which lets you manage your apps in the Play Store. After you have signed up and paid the registration fee, complete your account details, including Developer Name (the name that is displayed on the Google Play store). Once this is done, officially, it can take up to 48 hours for your Google Play Developer registration to be fully processed. Confirm the verification mail. After the account has been created, you can publish your apps. In order to publish your app in Windows Store you need to create a Windows Store Account. Once you create your account, go to Dashboard using the live ID. Verify your payment method link. Once you get the message that your account is verified, you are ready to begin submitting your app. ASO is the process of optimising mobile apps to rank it higher in the search results of an app store. The higher the app rank is, the more will be its visibility to its potential customers. The increased visibility can bring in more traffic to your app page in the app store. If you’re not using ASO for your app, then you are losing the largest channel available to search your app. With thousands of apps in different app stores, majority of the developers do not utilise the ASO facility to promote their app. So, you can use this as a secret weapon to rank your app in the app store and for its overall success. Title: The keyword used in the title should be the one with the most search traffic. For best results with ASO, use relevant keywords within your title. Keywords: To improve your search rankings, you need to use keywords which are relevant and which are most often used by your target audience. App Description: This one main field has to be filled with your apps data. This includes ‘above the fold’ and ‘below the fold’. Most of the customers only read the ‘above the fold’ which includes 1-2 sentences as description. Publishers Name: Make sure that the developer’s name has relevant keywords which could help you rank better for people doing generic search. Ratings and Reviews: This is also important and difficult to control. However, there are ways to motivate happy users to rate and review your app. Follow the Content Policy: You need to determine the proper app content rating and follow the content policy which is laid down for Android, iOS and Windows devices. Minimize your Code Size: You should aim to minimize the code size by removing any redundant code and thus, eventually reduce the size of your app. Design an attractive icon: Having a unique and attractive icon can grab customers’ attention. Attractive icons can make the users curious to know about the app. Include Screen shots and Videos: Including tempting videos and images can give the user a clear idea about your app. Localize your app listings: To globalize your app, you need to focus on the localization. It is the method of marketing your app to a non-English speaking audience in their native languages. Update App Regularly: Keep updating your app to ensure that they meet the changing guidelines of different devices. If you fail to keep up with the guidelines, your app can be blocked in the store. Like SEO, ASO also takes a substantial amount of time before showing results, but, you need to constantly work on it and keep on improving it. Monitor it regularly and be aware of the competitor’s ranking. Your work doesn’t end with the launch of the app. Rather, the real work just starts. You need to start marketing your app to the maximum possible levels. If you have a well planned and executed marketing strategy, it can yield immense benefits among the users. Your main focus has to be the end-users of your app. So, you will have to study their mobile behaviour and understand the same, before embarking on a particular marketing strategy. Focus on your target audience and find ways to engage them. Study them keenly and recognize their unique behaviour patterns where each user is unique in their own ways. Your main aim should be to provide maximum benefits to your users through the application. To achieve this, you will have to keep active interaction with the audience, and offer them, irresistible deals and offers . This involves the process of planning, including a team to handle various aspects of your app, publicizing and advertising your service, gathering and processing user information and choosing the right mobile platform to market your app. SMS is the best method to reach the maximum users, which also adapts to almost all types of mobile phones. This method of communication is the most direct and one which your audience can opt-in to receive as well. To differentiate your app with others, introduce features that no one else has given. By doing so, you enable your app to live alongside other messaging juggernauts like WhatsApp, Facebook messenger, We Chat, LINE, Hangout etc. It’s easy to assume that your app can become the next Snapchat or WhatsApp as long as you build a solid product. However, what makes the app successful isn’t the fact that it exists, but. the efficiencies it creates. Best of all, you can start a micro site and start blogging to your audience and promote your app as you would promote any other product. You can use a variety of valuable content in different forms to attract users from search engines and more. To trace your mobile app distribution process, make sure you sign up for a good analytic tool. Let the app review sites as well as authors and pen down your app’s review. This will help in more downloads and popularity for your app. Share your app and the content on various social media platforms. You can also request users to review or rate your mobile app. Mobiles are holding a considerable share of the digital world, but, web still matters and thus, it is strongly recommended that you create a web page for your app. Install a tracking tool to figure out the paid ad source the visitor is coming from. Calculate the total number of downloads needed to be in the top chart list. Once your app has created a buzz, cut short the paid marketing and maintain keyword rankings organically. By focusing on marketing strategies, you can create chat application that not only makes life better for your users, but also makes a profit for your start up plan. Considering the kind of competition we have these days, post app launch services are vital for app success. Ensure that you provide your users the best customer support or risk losing them. Why? Simply because they have plenty of alternatives available. No software is ever bug-free. Also, with a number of software updates happening to operating systems, the chances are ever so high for bugs. So, test and fix buggy software within a short period. Otherwise users would leave you indefinitely. There are so many new features cropping up every now and then. To stay in the race, you should adapt new features and work on providing fresh features as well. On the whole, create chat application is an amazing option and is becoming powerful for most brands and consumers. The greatest opportunity of a chat app lies in its ability to promote all areas of the brands strategy into a great user experience. When creativity is blended with traditional business, it makes an app complete. Experiences suggest that apps which save money or time are most attractive, followed by games and business tools. But, the success of any app cannot be predicted. Success usually comes with a lot of experimentation and perseverance.